With a live feed webcam over their nest in Fort Myers Beach. 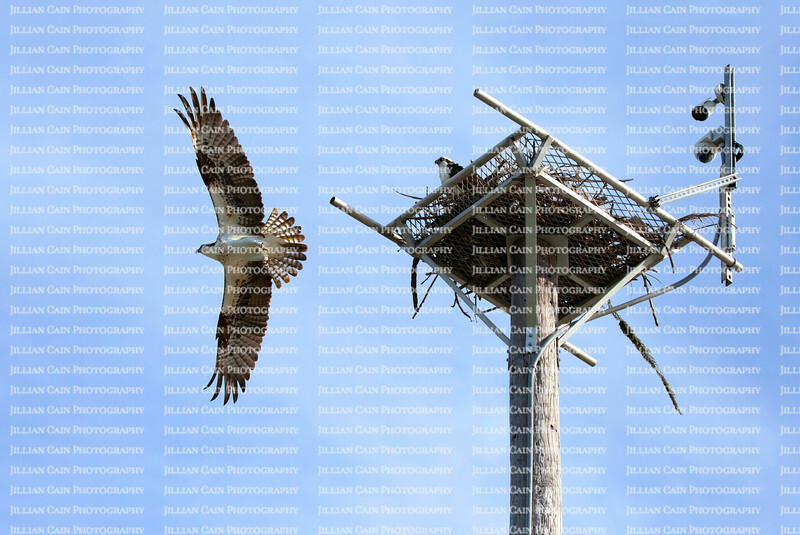 An osprey with wings spread wide fly off his nest while his mate stays. Ospreys mate for life and typically live for 7-10 years.